Regent Seven Seas Cruises' new Seven Seas Explorer will offer passengers 10 different categories of suites to choose from when it joins the cruise line's fleet in the summer of 2016. Regent announced the suite details via a press release on Tuesday. As the "world's most luxurious cruise ship," the Seven Seas Explorer will offer 375 total suites. And in addition to featuring the "largest verandas in the cruise industry," the suites will boast king-sized beds and oversized bathrooms. The top-tier suites include the Master, Grand, Explorer, Seven Seas and Penthouse Suites. And guests who book one will benefit from some convenient perks. 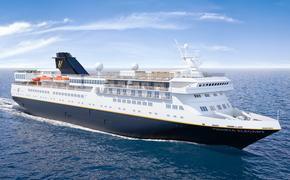 "In addition to all the amenities currently included on Regent Seven Seas Cruises, guests booked in a named suite for the inaugural Mediterranean season are entitled to complimentary business class air, one-night pre-cruise five-star hotel package, free unlimited internet access and personal butler service," states the press release. Travelers will also be able to choose from the more affordable concierge, superior and veranda suites. With 140 concierge suites to choose from, the category accounts for a majority of the accommodations aboard the Seven Seas Explorer. Guests in these suites are "entitled to one-night pre-cruise luxury hotel package, complimentary internet packages and priority access to book shore excursions and specialty dining." Despite covering just 300-plus square feet compared to the 3,875 square-foot Regent Suite, the veranda and deluxe veranda suites on the Seven Seas Explorer are among the most spacious entry-level staterooms in the industry. The superior suites fall in between the veranda and concierge, offering 415 square feet of spacious living area. 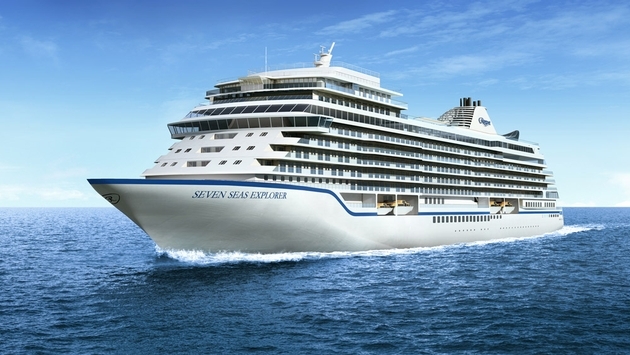 Reservations for the Seven Seas Explorer's maiden voyage on July 20, 2016 and the remainder of its inaugural season opened last month for Seven Seas Society members but will become widely available on Wednesday.